After building a reputation for himself in the local construction and real estate industries, Jay McAlister, with the support of his trusted team, has turned his passion for property into a thriving empire. 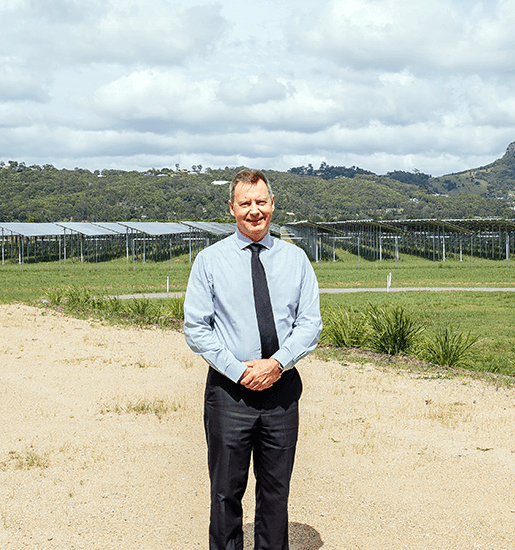 As the head of Imoda Group – the umbrella company that manages each of his various businesses – Jay McAlister has become one of the most renowned names in the Sunshine Coast’s construction and property sphere. Yet despite his triumph in taking on the highly competitive property industry, this laid-back businessman has remained as humble as the ‘chippy’ he was when he first embarked on his diverse career. I’m speaking with Jay at his stunning family home in Yaroomba during breaks in our photoshoot, and as he chats to me from his kitchen, I can see him visibly relax when our photographer turns her attention to his team. It’s refreshing to see a business leader who shies away from the spotlight, instead pinning the focus sharply on the team he insists are the foundation for his businesses’ success. And as he introduces me to some of the members of his team, it’s easy to hear the respect he has for each of them and the roles they play in the Imoda Group landscape. “I think we share a similar vision and culture,” he explains. Made up of six businesses that he either owns or holds a stake in, Jay’s main focus with Imoda Group is property – both creating and managing it – and it’s an area he’s clearly passionate about. 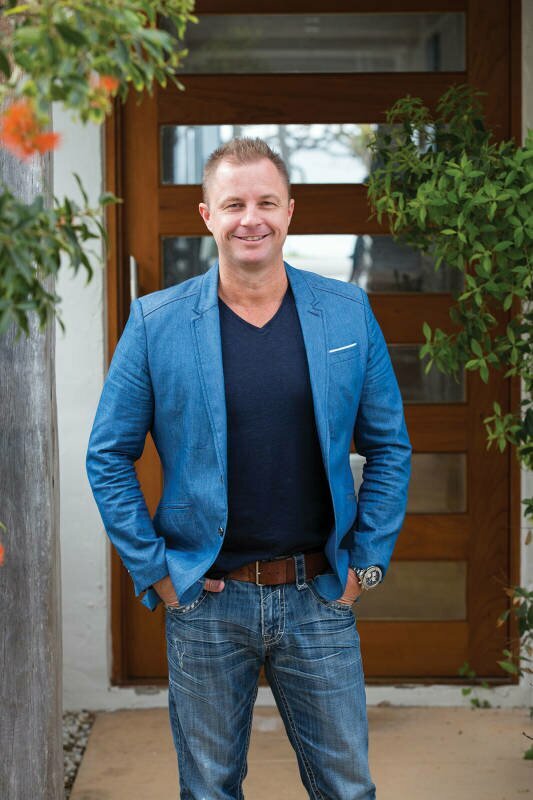 Jay’s involvement in the industry began fresh out of high school when he became an apprentice carpenter, and while there were a few times when he drifted back and forth between the construction and advertising industries, his love of the property market is what eventually drew him into business. Jay first made a name for himself in 2000 when he established not one, but two businesses – a construction company he shared with his cousin that continues to trade successfully on the Coast today, and property advertising agency Gallery Group. But it is the businesses he now has within Imoda Group’s portfolio – the ones he sold his stakes in his original businesses to create – that he holds the most enthusiasm for. 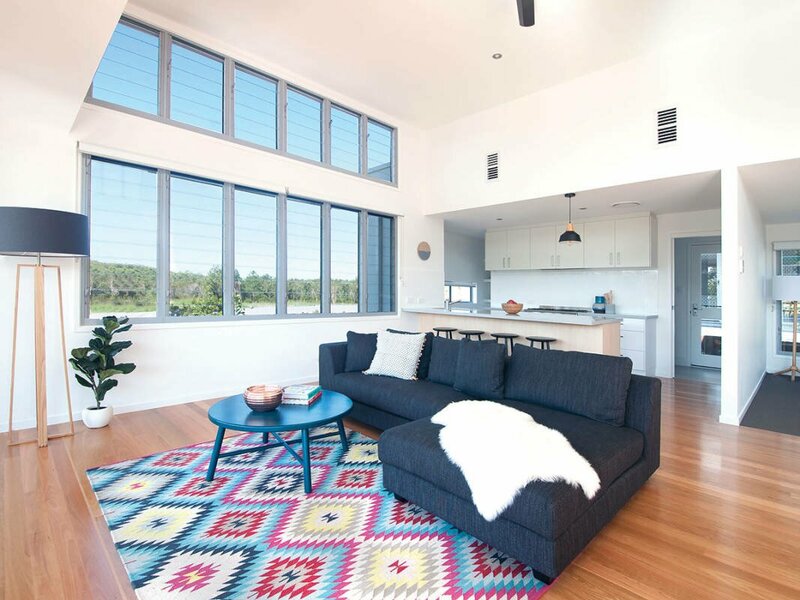 Imoda Properties, Booom Property and Independent Alliance Australia are three very different businesses, yet they share a synergy that has created an unstoppable force in the Sunshine Coast property sphere. Imoda Properties – a business Jay owns alongside two of his brothers, Chad and Brett McAlister – is a local construction company that has grown synonymous with honesty and integrity. Led by Chris Lewis as general manager, Imoda Properties has a strong reputation for delivering quality homes with exceptional service that goes above and beyond to ensure a happy client, and it is this strive for excellence that drew Chris to Imoda in the first place. Owned by Jay and his brothers Chad and Brett, Imoda Properties is an investment property and home construction company that has cultivated a reputation for their solutions-driven approach and on-time delivery of stunning, quality homes that combine function and design. As their tagline explains, “To Booom is to grow, develop, progress and flourish,” and that’s certainly the case for this rapidly growing property management business. 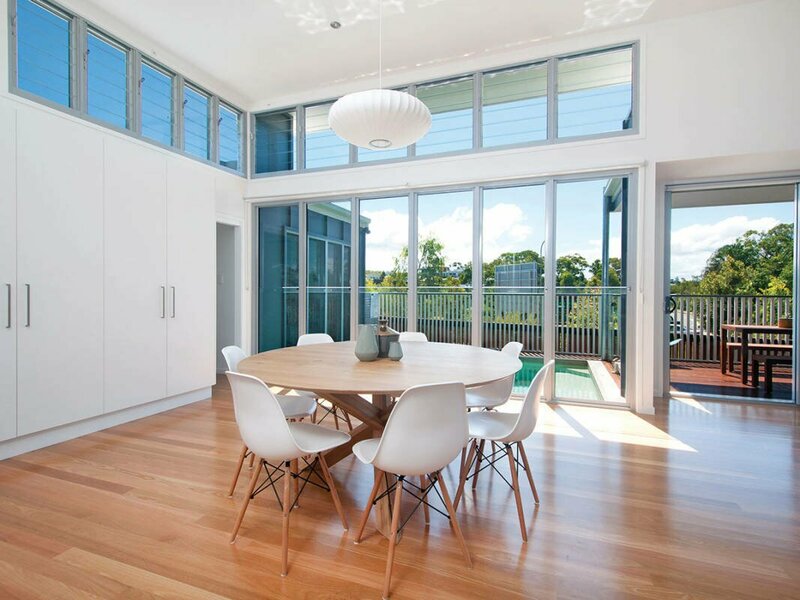 Based on the Sunshine Coast and in Gladstone, Booom Property’s staff are dedicated to building long-standing relationships with their investors and customers to ensure the best results for everyone. Offering services in property sales and rentals, what makes Booom Property so unique is their willingness to share their insight of the industry, even employing an investment professional to guide those looking to enter the property market or build their property portfolio. Created off the back of Booom Property’s success as an independent agent, Independent Alliance was designed to level the playing field by helping independent real estate agents go head-to-head with franchises. The Alliance brings independent agents from around the country together in one location, allowing them to lower overhead costs and increase buyer databases, all while maintaining their own brand. Providing members with access to valuable training and information, the business has also recently launched Independent Alliance Project Marketing as another division of the group, which enables independent agents to tap into listings they wouldn’t normally have access to on their own. Amoda Media is responsible for media groups PostOP, Klinik TV and ValleyArm Digital. This innovative media outfit provides the facilities and services required to develop, produce, manage and monetise video content through each of its subsidiaries. PostOP offers post production services to major broadcasters and content producers the likes of Warner Bros, Foxtel and channels Seven, Nine and Ten; Klinik creates original, brand-funded and commissioned programming; and ValleyArm is responsible for producing an array of the Asian region’s YouTube content. Sharing in Jay’s passion for the industry, Chris is hoping to change the way the public thinks when it comes to building, by removing the stress often associated with it. “The pain of a build process scares a lot of people away from building, and we’re slowly turning customers back towards building one-by-one,” he says. Imoda Properties is focused primarily on delivering turn-key house and land packages for people looking for investment properties, dealing predominantly with external advisors such as wealth coaches, financial advisors and property consultants to ensure maximum return for their clients. But as Chris explains, it is livability and quality that drives his team. While no job comes without its challenges, Chris says it is these moments where the Imoda Properties team truly raises the bar. 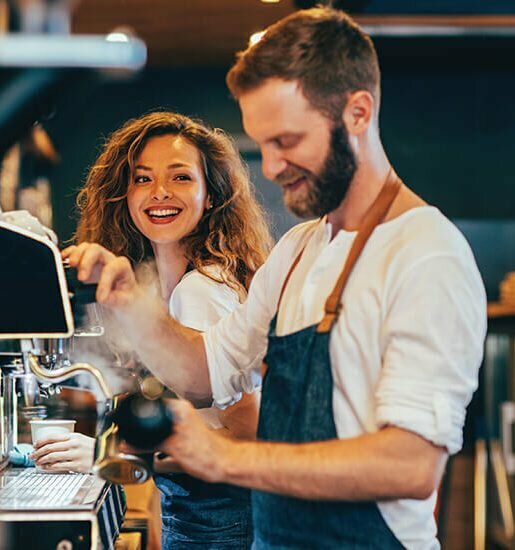 This standard of service is replicated across Imoda Group’s other businesses, from Booom Property’s dedicated client-centred service, to Independent Alliance’s support for small businesses, born off the back of Booom’s experience. In fact, quality is a recurring theme throughout all Imoda Group’s endeavours, including Amoda Media – Jay’s highly successful media production company. “The success of the business is reliant on the ability of the team to work together cohesively. It’s about having good people doing a good job to get good results at the end,” says Chris of Imoda Group in general. 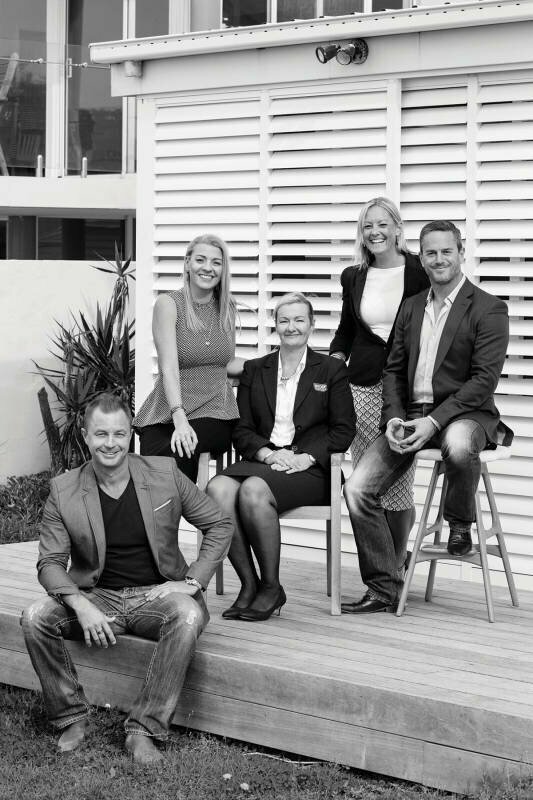 Sharing an office and working side-by-side and often together to ensure the best results for all of their clients, the staff at Imoda Properties, Booom Property and Independent Alliance have become a formidable team. After watching them laugh and joke with each other, it’s clear their passion for what they do has seen them form a close bond. And it is this family culture that Jay believes is the true recipe to the success of Imoda Group. “Creating a business is one thing, but having cool people who love their job surround you is far more inspiring,” he says. Courtney started at Independent Alliance in a business development role on a local scale last year and is now the main point of contact for their clients nation-wide. Courtney’s main role is to engage with clients on a daily basis, making sure they’re aware of the benefits their membership to the alliance holds. She is currently heading up the recruitment division, speaking with other client relationship managers in order to grow Independent Alliance’s database and subsequently lower their members’ overhead costs and increase their listings. Mellanie joined Imoda Group early this year with 24 years accounting experience across various industries. Ambitious as she is, Mellanie joined the team for promise of career progression and is currently being trained to take over as chief financial officer for the group. As the finance manager, Mellanie’s role encompasses accounting across Jay’s many business interests. Chris has been involved with Imoda Properties for the last eight months; however he has worked with Jay in other business dealings in the past. Chris’s role is to ensure Imoda Properties produces only the highest quality of work. While committed to growing the business, Chris is currently focused on expanding his team and trade base in order to form a team that’s a strong force in construction on the Sunshine Coast. Tanya has been with Booom for two-and-a-half years, with five years of experience in the real estate industry prior to joining the team. Tanya’s role within Booom is communicating with their clients to grow and prosper business relationships and to ensure the day-to-day management of each and every investment is streamlined and uncomplicated. 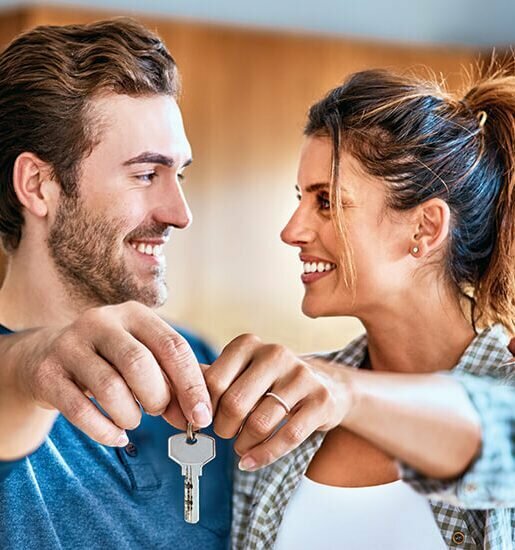 If you’re looking to enter the property market or you’re looking for real estate advice from professionals who care, call Booom Property on 5444 7555 or visit www.booom.com. For more information on Imoda Group and the businesses associated with it, visit www.imodagroup.com.